Would you eat eggs from these hens? 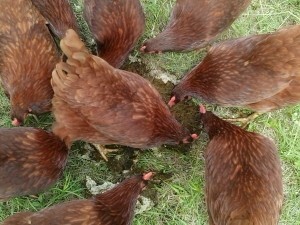 Number one reason for pastured hens! Cleaning up after the cows. Having pastured eggs is a bonus. This entry was posted in Health Benefits of Grass Fed Beef, Pictures. Bookmark the permalink.